Earlier this week, The Hundreds released a killer collaboration with the world’s most popular monster truck, BIGFOOT!!! 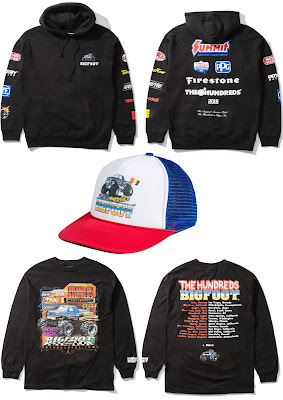 The Hundreds x BIGFOOT Collection is inspired by the ingenuity and high-octane spirit of the monster truck arena and the creator of the genre, Bob Chandler. 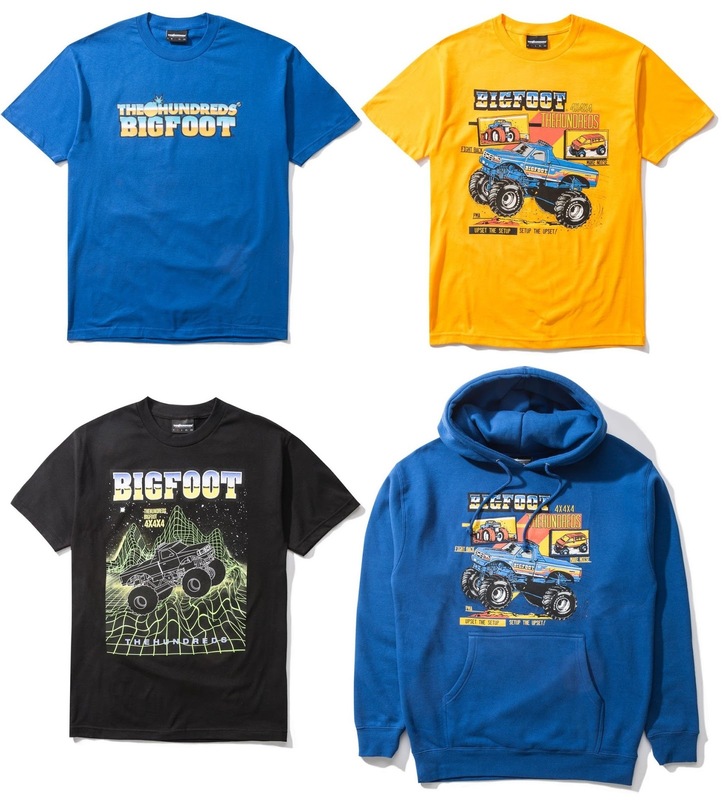 Chandler first created BIGFOOT, The Original Monster Truck, in the mid-1970s and this amazing piece of machinery remains a truly independent family operation run by Bob, his wife, and children. This amazing new limited edition The Hundreds x BIGFOOT Clothing Capsule Collection is available now at The Hundreds online store in a variety of colors and sizes. Head over to the webstore now to see the entire collection (while supplies last).